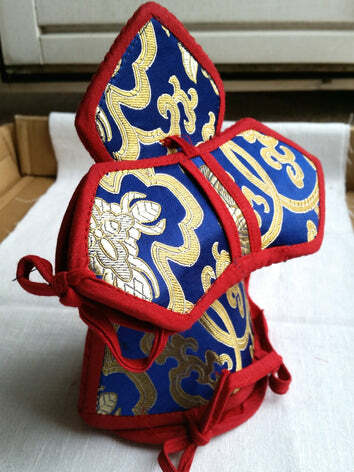 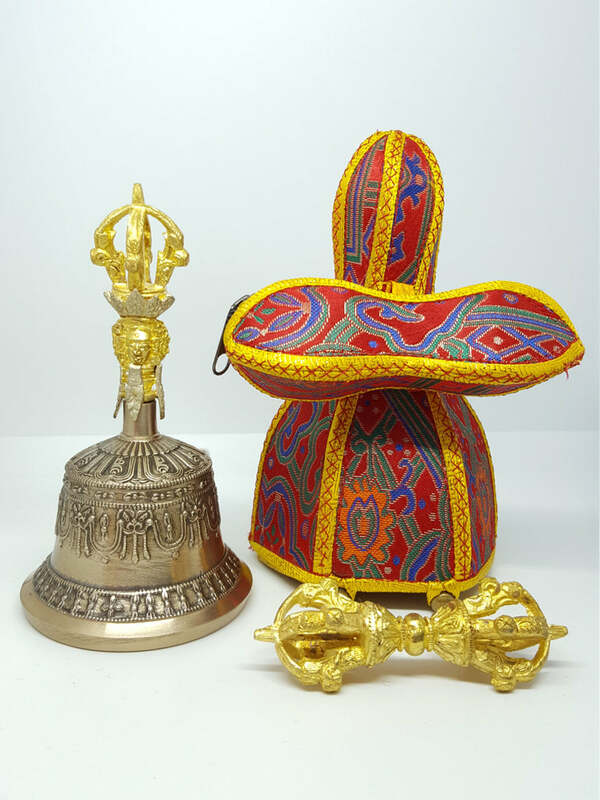 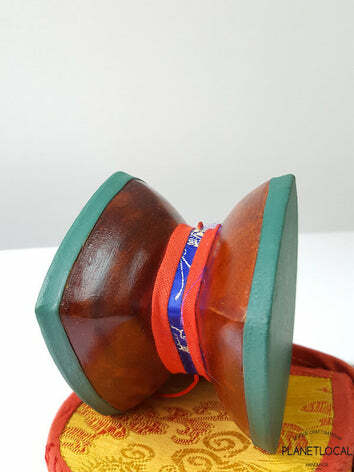 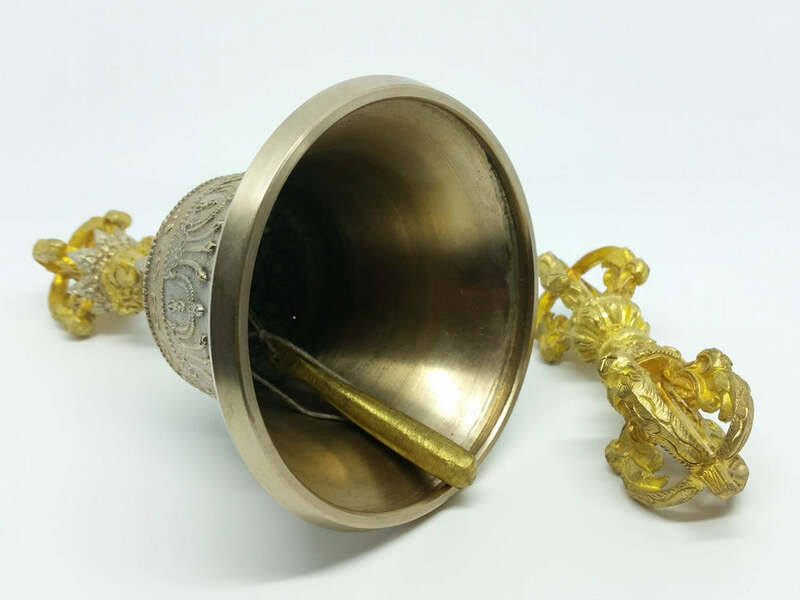 This is one of our finest quality Bell and Dorje set for spiritual/buddhist practitioners or for decoration at your shrine or altar. 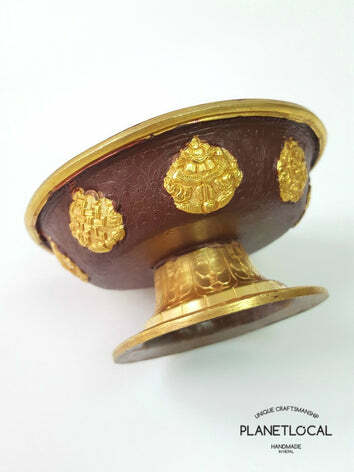 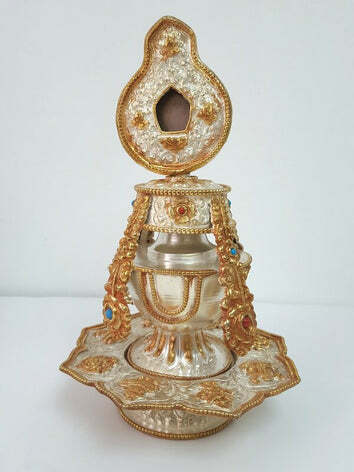 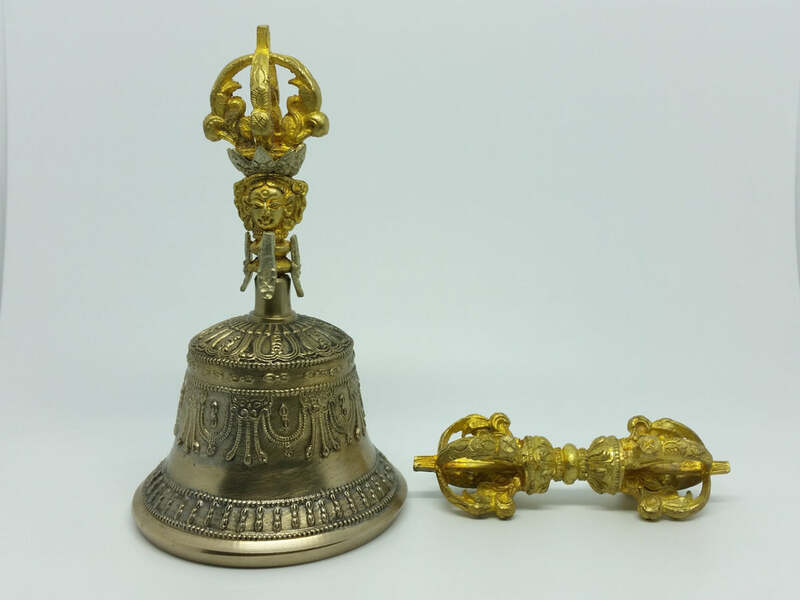 Made of seven metals alloy of bronze, this bell and dorje consists of 4 prongs. 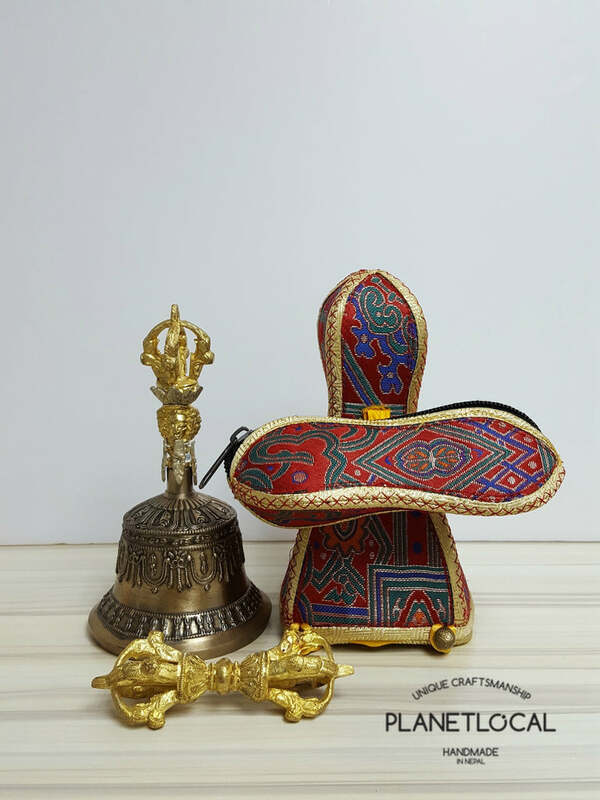 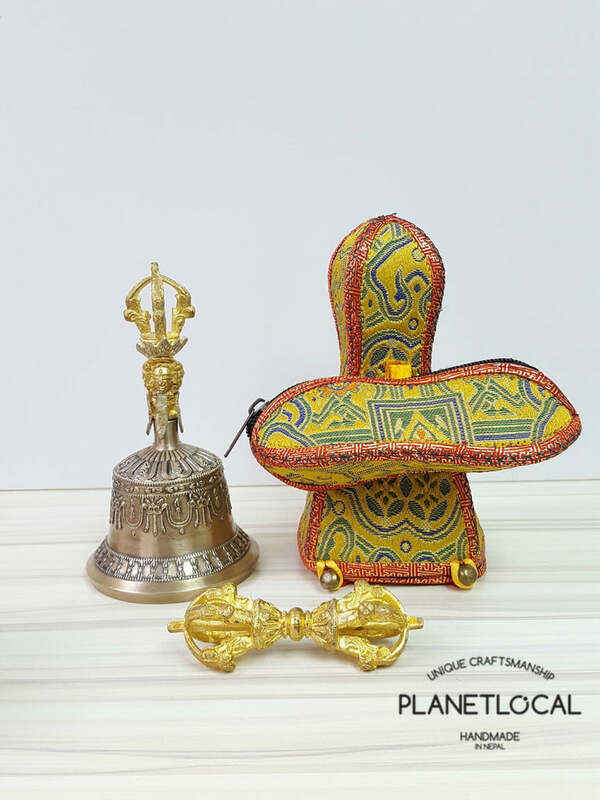 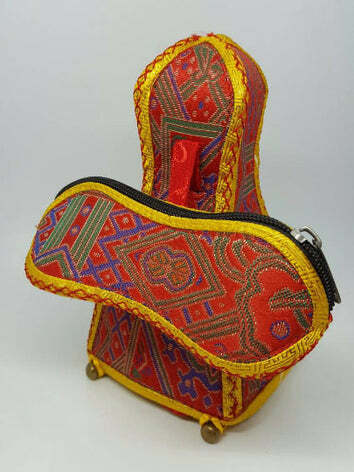 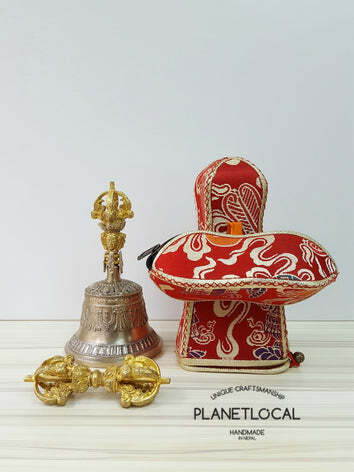 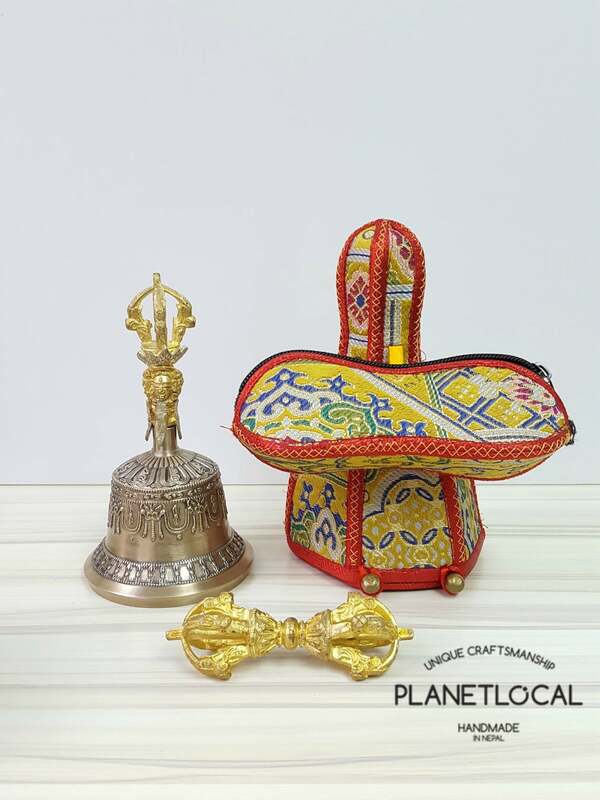 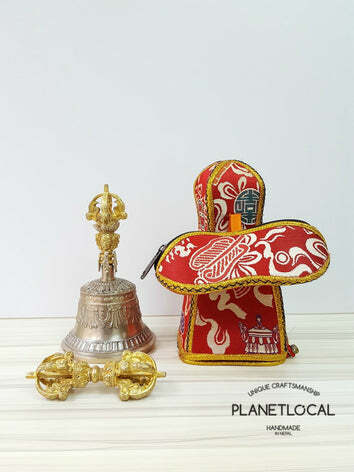 The bell and dorje comes in a specially designed protective case to protect your meditation bell while travelling. 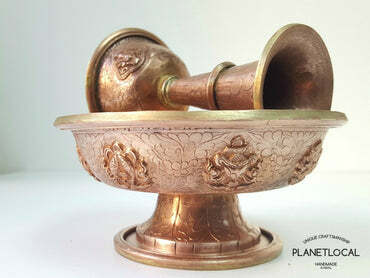 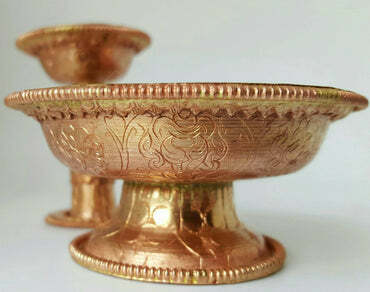 Called as "Ghanta" in Hinduism, they are considered to be musical instruments that make God happy. 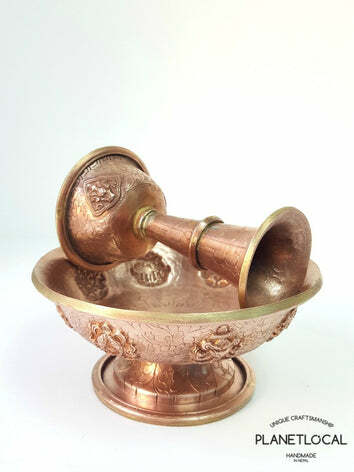 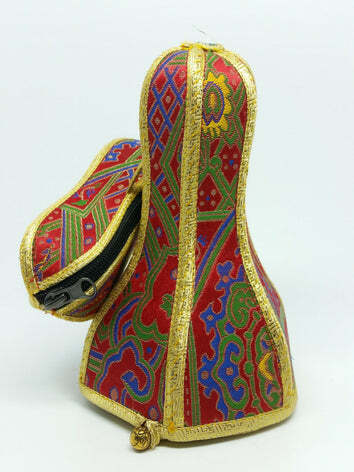 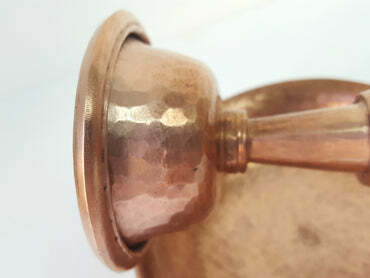 The Bell (which is called "Drilbu" in Tibetan), is a ritual handbell symbolic of wisdom. 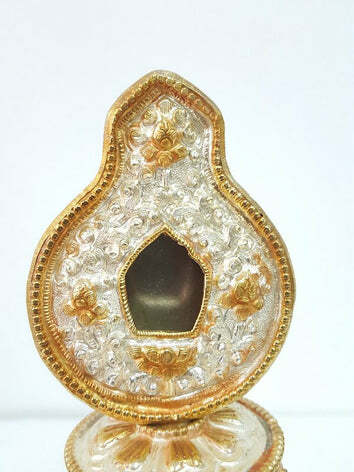 Dorje is Tibetan for indestructible diamond scepter, and is symbolic of compassion. 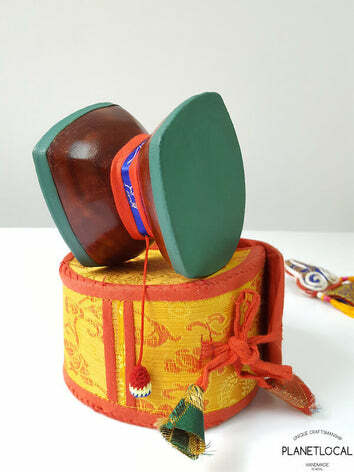 Together, the Bell and Dorje symbolize the perfect union of wisdom and compassion necessary to achieve enlightenment. 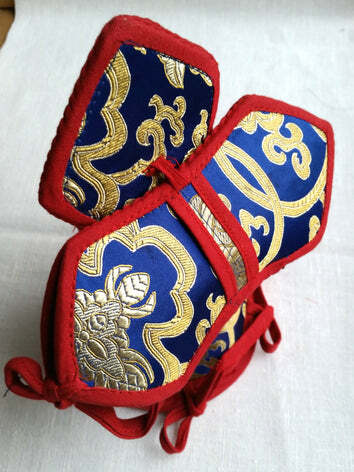 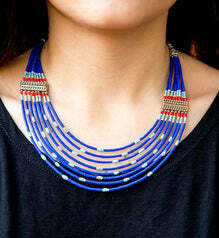 Traditionally they are used by monks, nuns, and lay people during various rituals and practices. 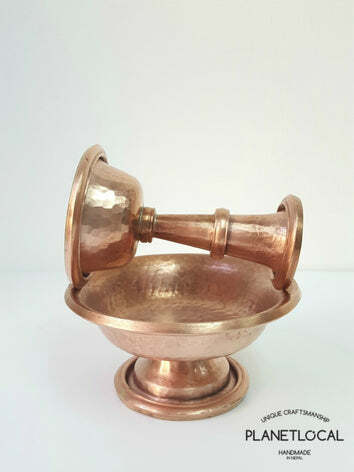 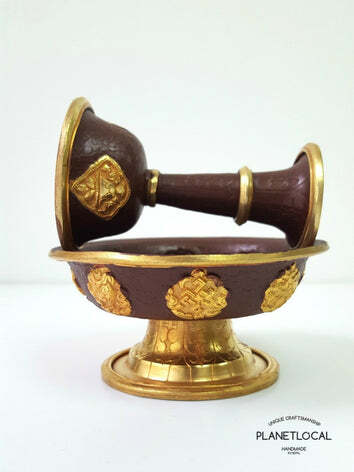 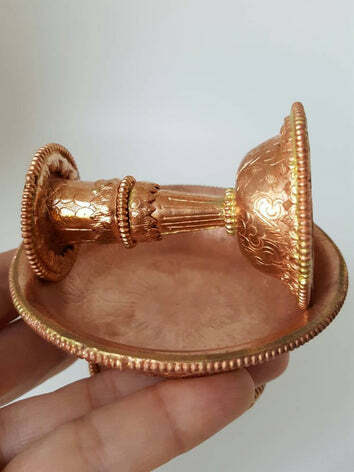 Used together as a set, the Ghanta is held in the left hand and the Dorje in the right.